A wine cellar lounge opens in Monterey County, Manhattan’s Upper West Side gets a new wine and beer bar, and more. 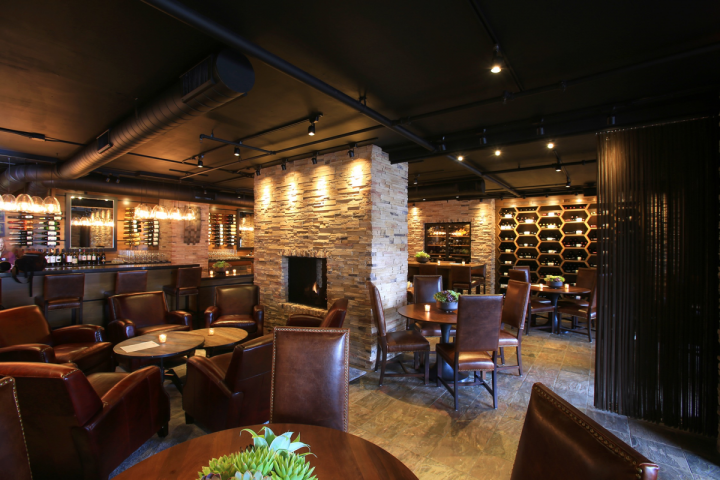 The Inn at Spanish Bay in Pebble Beach, California, unveiled a new wine lounge called Stave Wine Cellar in August. The on-premise wine bar and retail shop—operated by Pebble Beach Resorts—offers more than 30 wines by the glass and some 250 bottled selections. The venue carries several Monterey County wines, including labels by Bernardus Winery, Albatross Ridge and Wrath Wines, along with an extensive variety of wines from Napa Valley, Sonoma County, Mendocino County, Santa Barbara County and the Santa Cruz Mountains. Spain, France, Germany, Italy and Argentina are also represented. Stave Wine Cellar uses the Coravin system to pour both lesser-known brands and higher-priced prestige labels by Caymus, Screaming Eagle and Opus One. Wines by the glass range from $4 to $95 a 2-ounce taste and from $10 to $275 a 6-ounce pour, while 750-ml. bottles start at $17 and reach $1,100 for Harlan Estate Cabernet Sauvignon. The lounge also offers a few beers ($8 to $10), emphasizing California brewers, as well as snacks, cheese and charcuterie ($8 to $30). With wood elements throughout its interior, the space features a long bar, a large double-sided stone fireplace and honeycomb-style wine storage shelving. Manhattan Brew & Vine opened in late August, offering a varied selection of beer and wine in an industrial rustic setting. 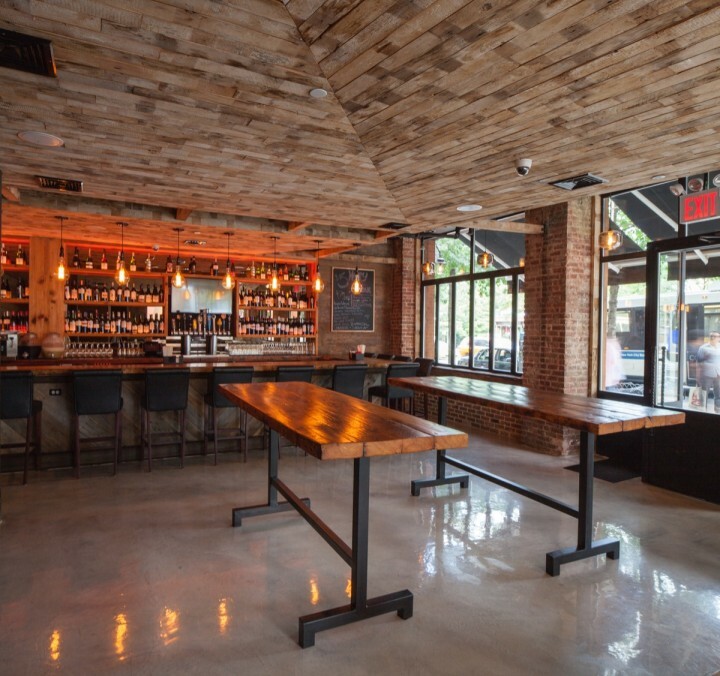 Located on New York City’s Upper West Side, the venue boasts more than 40 wines by the glass and nearly 30 craft beers. The wine list features all major regions, highlighting familiar varietals and lesser-known selections like Vinho Verde and Grüner Veltliner ($6 to $14 a glass; $31 to $61 a 750-ml. bottle). For beer, the lounge has several domestic crafts on draft and bottled selections from Germany, Spain, Belgium, Italy and Sri Lanka ($6 to $16 a draft pour or bottle). A menu of snacks and small plates includes sliders, salads and charcuterie ($9 to $20). The venue has a 22-foot-long wooden bar and features exposed brick walls, reclaimed wood ceilings and large windows to create a light, inviting feel. The travel-themed bar Mr. Jones opened in September in Manhattan’s Trump SoHo hotel. Inspired by a 1960s-era bon vivant, the venue has a globe-trotting menu that includes specialty cocktails and savory small plates, highlighting ingredients from around the world. The space also features photography of iconic 1960s celebrities. A bi-level ode to sports, The Prospect opened in September in Washington, D.C. The bar offers an extensive menu of ciders poured on draft and incorporated into cocktails. Beer is also available, along with internationally inspired stadium fare. In addition, the venue boasts 40 televisions. Barcito brings Argentina to Los Angeles, celebrating its home country’s culture with drinks and food. The Downtown venue serves Argentine wine and cocktails, as well as sangria and beer. These offerings are joined by a variety of communal-style dishes, including squid ink pasta, empanadas and polenta. Party bar Señor Frog’s debuted a mammoth location in New York City’s Times Square in August. The 540-seat bi-level bar offers cocktails in its signature yard glass and hosts regular live entertainment, from bands to interactive games. The venue also serves lunch and dinner, with a focus on Mexican fare.